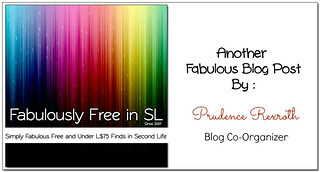 Just a quickie to let you know about a few great little freebies that you can get your hands on right now! Lumae sent out a surprise Halloween gift through their group notices earlier today with a really cute pair of mesh Skeleton leggings! 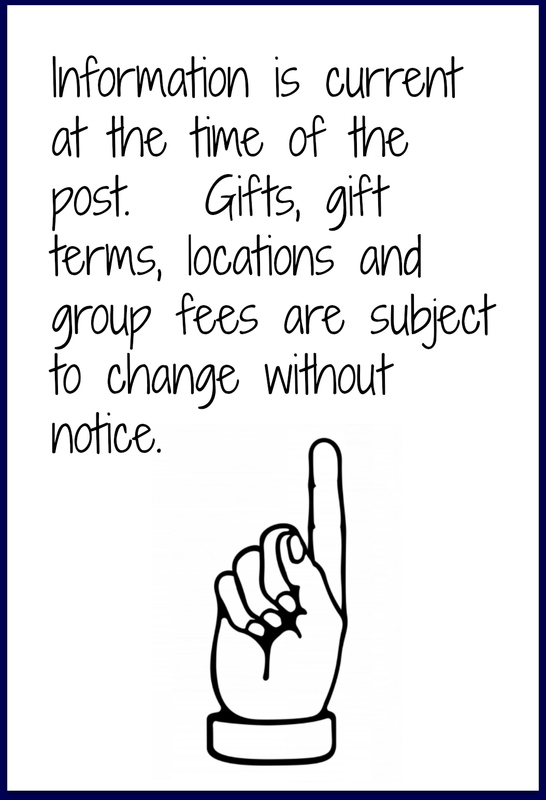 Their group is free to join and you can only find the gift in the notices, it isnt out at the store. Reign also have a new group gift available which are a set of some awesome boots. There is a join fee of L$250 but it is totally worth it for these boots alone plus you’ll then be eligable for future gifts and believe me, you will want to stay in this group for those! The Laurel Camisole I am wearing is by Ecru and is one of their FIVE prizes in The Burbs Halloween Hunt! My amazing witch hat is also part of the hunt and you can find it at Ariskea and the Sugar Le Muerte make up layer can be found at TAOX! You can find out more about this amazing hunt aswell as seeing more prizes by visiting my previous post here! Two more prizes from The Burbs Halloween Hunt are shown in this picture above.. one of them is the Bad Witch Cloud Eyes by #Adored and the other is the nail varnish for SLink hands by the same store. They have four prizes scattered around so get looking for that little mischievious pumpkin to find them! Categories: accessories, appliers, events, eyes, gacha, group gifts, groups, hair, hunts, makeup, mesh, Nails, other, pants, shirt, shoes, tattoo | Tags: #Adored, 0L, 0L Fashion, ariskea, Ecru, fabfree, fabfree in sl, fabulously free in SL, free, free fashion sl, free group gift, free in sl, freebie, Freebie Fashion SL, freebies, Freebies in SL, Glam Affair, group gifts, halloween, Imeka, little bones, Lumae, Reign, SLink, slink nails, TAOX, The Burbs, The Burbs Halloween Hunt, Tiana Omizu | Permalink. Hey fabbies, hope your week is going great! If you, like me, just can’t seem to get enough nail polish, then chocolate atelier has exactly the freebie for you! 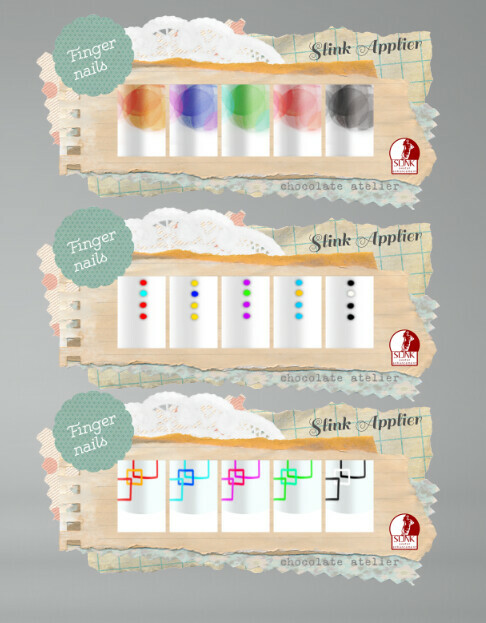 CA‘s new group gift is a pack of Slink compatable polishes in fun modern designs. 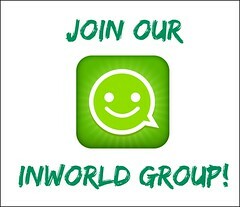 The group is free to join, and there are 3 styles, which each come in 5 colours in this fun pack! I’m wearing the green polish in HUD #1. Here’s a peek at all 3 of the the HUDs together so you can see all of the great polishes! Skin – Morphine – Fujin – Ivory – Manga fair exclusive! Hair – Ploom – Inge – Ploomage – OMGacha! exclusive! Categories: accessories, appliers, groups, mesh, Nails | Tags: :: c.A. 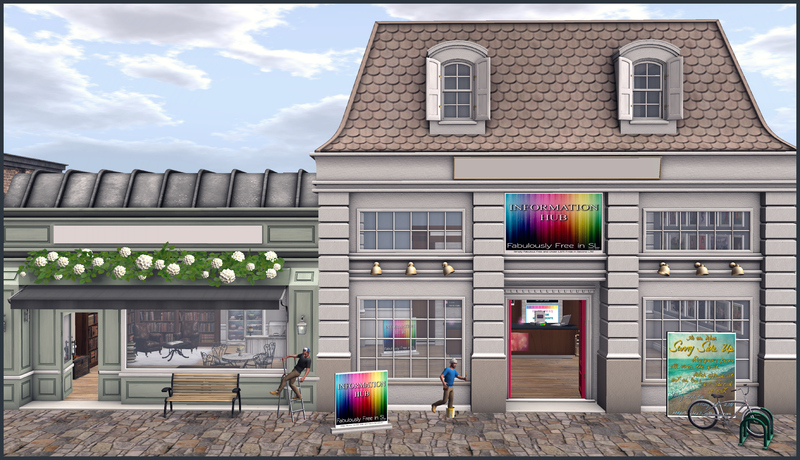 :: chocolate atelier, Chocolate Atelier, fab free, fabfree, fabulously free in SL, fashion, free, free in sl, freebie, freebies, freebies sl, gift, group gift, Manga Fair, Morphine, OMGacha, omgatcha, Ploom, Skyler Glasswing, SLink, Slink Hands, slink mesh hands, slink nails | Permalink. Hey fabbies! Hope you’re enjoying your Thursday, and if not, well let’s help you hang in there with some cute fashion, shall we? 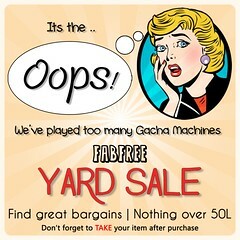 So, the cart sale is still going strong, and I have another cart to show you today! The other bloggers have been doing an amazing job showing off the goodies, and now it’s my turn! Demotik has quite a few items out on their cart including: Nails, shoes, and cute little tops, and all for just $L10 or under! I am totally loving Demotik‘s boots at this sale! I have on the qq pair in the photo above, but for just $L10 each you can also pick up “Skull candy” and “red velvet” versons of these! These are 100% unrigged mesh, and the shine, which is provided by materials, not a baked on texture, is to die for! This super fun and summery top is the Dotty dark tank top, another item from Demotik‘s cart! This comes in 3 different styles at the sale, and for such a great price, can you resist them all? Finally, Demotik has several great sets of nails on their cart! The ones I have on are called “Ziggy blacks”, which also come in white tips as well. Each pack includes a myriad of colours, and includes appliers for both your fingers and your toes! There are a multitude of other nail packs waiting for you! …and the other half is just as great! 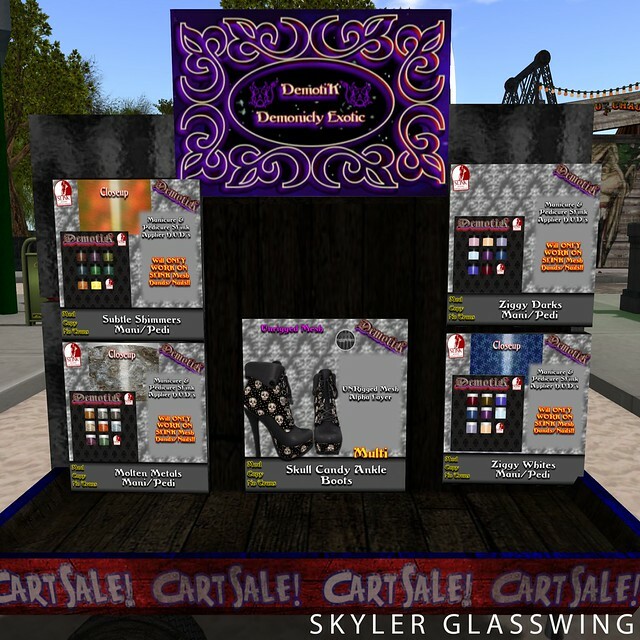 Categories: accessories, jewelry, poses, shirt, shoes, Uncategorized | Tags: Biannual Cart Sale, Car Wash Cart Sale, Cart Sale, Cart Sale SL, Cute Poison, DemotiK, fab free, fabfree, fabulously free in SL, feet Slink, free, free in sl, freebie, freebies, freebies sl, gift, Glam Affair, oOo Studio, Ploom, Presence, Skyler Glasswing, SLink, Slink Applier, slink appliers, slink compatible, slink feet, Slink Hands, Slink Mesh Feet, slink mesh hands, Slink nail appliers, slink nails, The Bi-Annual Cart Sale @ The Wash, The Cart Sale, The Cart Sale at The Wash, the wash, The Wash Biannual Cart Sale, The Wash Cart Sale, The Wash Sim, wash, wash cart, Wash Cart Sale | Permalink.